Volunteer mentors from INBio Costa Rica and GBIF Spain mentor BID Africa 2015 project participants. (From left to right) Maria Auxiliadora Mora, Sara Raquel Figueira Fernandes, Gladys Odey Schwinger, Gilbert Muvunankiko and Katia Cezón García. Photo by Mélianie Raymond. Mentors are a pillar of the GBIF community. By sharing their expertise within the community, GBIF mentors help others reach project goals, establish effective Participant nodes, and mobilize, manage and use biodiversity data for use in research and policy. The mentoring experience is an opportunity to have a direct impact on strengthening capacity in our network. It is also an opportunity for personal development through learning new skills or strengthening existing ones, engaging other biodiversity informatics experts, and collaborating with colleagues around the world. There are potential opportunities to travel to make targeted mentoring visits, represent GBIF at relevant meetings and/or participate in both remote and face-to-face trainings. 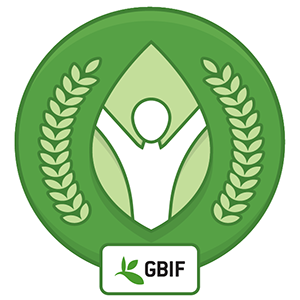 Acknowledgement of contributions are made in the resources produced by the GBIF Secretariat and on the GBIF websites as appropriate. 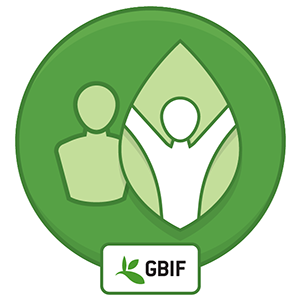 Volunteer Mentor: This badge is assigned to those who have volunteered to be part of the pool of mentors available to provide support to the GBIF funded projects and who have completed the webinar. 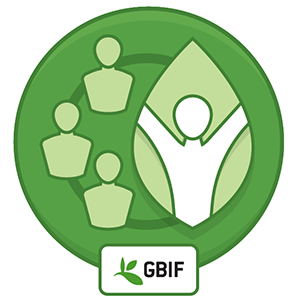 Project Mentor: This badge is awarded to those who have been assigned to mentor one or more GBIF funded projects, and have provided substantial remote or on-site support to their implementation. Certified Trainer: This badge is awarded to those who have contributed to the development and delivery of capacity enhancement workshops. Badge in design Node Manager Mentor: This badge is awarded to those who have been assigned to mentor new node managers. Answer occasional calls to mentors to participate in capacity support activities, as direct project mentors and/or onsite workshop mentors and trainers. A. Raoufou Pierre Radji Togo Basics of biodiversity informatics. Data capture, management, publishing, data analysis and use. BIF building (informatics & networking). Node Manager. Ababo Stephen Uganda BIF building (networking). Aimé Kazika Kamosi Congo, Democratic Republic of the BIF building (networking). Akomolafe Gbenga Festus Nigeria Basics of biodiversity informatics. Data capture, publishing, data analysis and use. Andriamandimbisoa Razafimpahanana Madagascar Basics of biodiversity informatics. Data management, publishing, data analysis and use. BIF building (networking). Bakwo Fils Eric Moise Cameroon Data management, data analysis and use. Faustin Gashakamba Rwanda Basics of biodiversity informatics. Data capture, management, publishing. BIF building (informatics). Node Manager. Gabriel Salako Nigeria Basics of biodiversity informatics. Data capture, management. Innocent Akampurira Uganda Basics of biodiversity informatics. Data management, publishing, data analysis and use. BIF building (informatics & networking). Node Manager. IPOU IPOU JOSEPH Côte d’Ivoire Data capture, management, publishing, data analysis and use. Tsiky Rabetrano Madagascar Basics of biodiversity informatics. Data capture, management, publishing, data analysis and use. Gautam Talukdar India Basics of biodiversity informatics. Data publishing, data analysis and use. BIF building (networking). Aaike De Wever Belgium Basics of biodiversity informatics. Data capture, management, publishing. Abraham (Han) de Koeijer Belgium Data capture, management, publishing, data analysis and use. BIF building (networking). Alena Kulikova Belarus Data management. Andriy Novikov Ukraine Basics of biodiversity informatics. Data capture, management, publishing, data analysis and use. Anna Sheiko Belarus Data capture, management, data analysis and use. Armine Abrahamyan Armenia Data capture, management, publishing, data analysis and use. BIF building (informatics & networking). Astghik Movsisyan Armenia Basics of biodiversity informatics. Data publishing, data analysis and use. Eugeny Sysoliatin Belarus Data management, publishing, data analysis and use. Fabien Caviere France Basics of biodiversity informatics. Data management, publishing. BIF building (informatics). Gleb Krishin Belarus Basics of biodiversity informatics. Data capture, management, publishing, data analysis and use. Hrant Khachatryan Armenia Data management, publishing, data analysis and use. Iryna Yatsiuk Ukraine Basics of biodiversity informatics. Data capture, data analysis and use. Kadirova Izatmo Tajikistan Basics of biodiversity informatics. Data capture and management. Larissa Smirnova Belgium Data capture, management, publishing. Mamdalieva Mukhabbatkhon Tajikistan Basics of biodiversity informatics. Data capture, management and publishing. Manzura Tajikistan Data capture, management, publishing, data analysis and use. Marco Schmidt Germany Basics of biodiversity informatics. Data capture, management, data analysis and use. Mariia Zykova Ukraine Data management. Mirzorahimov Akobir Karimovich Tajikistan Basics of biodiversity informatics. Data capture and management. Mubalieva Shoista Tajikistan Data management and publishing. Naira Gasparyan Armenia Basics of biodiversity informatics. Data management, publishing, data analysis and use. Oleh Prylutskyi Ukraine Basics of biodiversity informatics. Data capture, management, publishing, data analysis and use. Quentin Groom Belgium Basics of biodiversity informatics. Data capture, management, publishing, data analysis and use. Shifo Kurbonbekova Tajikistan Data capture, management, publishing, data analysis and use. Stanislav Krasovskii Belarus Data management, publishing, data analysis and use. Tatevik Aloyan Armenia Basics of biodiversity informatics. Data capture, management, publishing, data analysis and use. Danielle Lewis-Clarke Trinidad and Tobago Basics of biodiversity informatics. Danny Vélez Colombia Basics of biodiversity informatics. Data management, publishing. BIF building (networking). Dorlan Ainsley Burrell Jamaica Basics of biodiversity informatics.BIF building (networking). Hyacinth Douglas Jamaica Data capture, management. BIF building (networking). Shelley James Australia Basics of biodiversity informatics. Data capture, management, data analysis and use.